This topic shows how to build a sensorless brushless DC (BLDC) motor controller or simply an ESC (Electronic Speed Controller) with an Arduino UNO board. The commutation of the sensored BLDC motor is done according to the hall effect sensors state. Sensorless BLDC motor doesn’t have any sensor to detect its rotor position, its commutation is based on the BEMF (Back Electromotive Force) produced in the stator windings. The main advantage of sensorless BLDC motor control is lower system cost and the main disadvantage is the motor must be moving at minimum rate to produce sufficient BEMF to be sensed. The easiest way to detect the zero crossing events is by using comparators. The comparator has 3 main terminals: 2 inputs (positive and negative) and an output. Comparator output is logic high if the positive voltage is greater than the negative voltage, and logic low if the positive voltage is lower than the negative voltage. Basically 3 comparators are needed for this project, connections are done as shown in the figure below (example for phase B). Each phase requires a similar circuit. The virtual natural point is the same for all the 3 comparators, it is generated using 3 resistors. When the BEMF generated in the floating (open) winding crosses the zero point towards positive side, the comparator output makes a transition from low-to-high. When the BEMF generated in the floating winding crosses the zero point towards negative side, the comparator output makes a transition from high-to-low. By having three such comparator circuits, one on each of the phases gives three digital signals corresponding to the BEMF signal in the windings. The combination of these three signals is used to derive the commutation sequence. Note that all grounded terminals are connected together. In the circuit there are 2 pushbuttons, one is used to increase BLDC motor speed and the 2nd one is used to decrease it. The first three 33k (connected to motor phases) and the three 10k resistors are used as voltage dividers, because we can not supply the microcontroller with 12V, the other three 33k resistors generate the virtual natural point. The virtual natural point is connected to Arduino pin 6. The Arduino UNO board is based on the ATmega328P microcontroller which has one analog comparator. The positive input of this comparator is on Arduino uno pin 6 (AIN0) and the negative input can be pin 7 (AIN1), A0 (ADC0), A1 (ADC1), A2 (ADC2), A3 (ADC3), A4 (ADC4) or A5 (ADC5). So I connected the virtual natural point to the positive pin of the analog comparator (pin 6), phase A BEMF to pin 7 (AIN1), phase B BEMF to pin A2 and phase C BEMF to pin A3. Each time the comparator compares the virtual point with the BEMF of one phase (this is done in the software). This minimizes the hardware needed and simplifies the circuit. The SD lines of the three IR2104S are connected to pins 11, 10 and 9 respectively for phase A, phase B and phase C. The Arduino UNO can generate PWM signals on that pins where only high side mosfets are PWMed. The code below does not use any BLDC motor library. As mentioned above, Arduino pins 9, 10 and 11 can generate PWM signals where pin 9 and pin 10 are related with Timer1 module (OC1A and OC1B) and pin 11 is related with Timer2 module (OC2A). Both Timer modules are configured to generate a PWM signal with a frequency of about 31KHz and a resolution of 8 bits. The duty cycles of the PWM signals are updated when a pushbutton is pressed (speed up or speed down) by writing to their registers (OCR1A, OCR1B and OCR2A). The analog comparator compares the positive input AIN0 (Arduino pin 6) with the negative input which can be AIN1 (pin 7), ADC2 (pin A2) or ADC3 (pin A3). When the positive pin voltage is higher than the negative pin voltage, the output of the analog comparator ACO is set, and when the positive pin voltage is lower than the negative pin voltage, ACO is cleared. In this project I used the analog comparator interrupt and I used its interrupt on rising (transition from low to high) and interrupt on falling (transition from high to low), this makes the zero crossing events interrupt the microcontroller. The video below shows how project is working. Please help me, my mosfet is overheating and motor just vibrates and not turning on. Check your mosfets, they may be damaged, and recheck you circuit connections! In the video there is only 5 capacitors, but the circuit shows 6 capacitors and the arduino uno default timer2 frequency is ~61 khz, but you explained and coded default prescale, can u please provide the full report with the virtual ground resistor design. Please help me i am on my major project.. In my circuit it should be 7 capacitors (the 6 capacitors shown in the schematic diagram and one between (+) and (-) of the 12V source). The biggest capacitor in the video is for 12V source. It could be done just as shown in the schematic diagram. The frequency of Timer2 PWM signal is about 31KHz because when it is ON its register TCCR2A = 0x81 which means WGM20 bit = 1 (PWM phase correct mode) and therefore: freq = 16000000/(N*510) = 31372Hz where N is the prescaler = 1 (TCCR2A = 1), you can check it with a real oscilloscope or even by Proteus simulation. All data are provided in the Atmega328P datasheet. I used 12V power supply for both the Arduino and the 3-phase bridge, a battery (Li-ion, Li-po ..) can be used for powering both of them. which BLDC motor are you using and what are its rating…? It’s A2212 1000KV, it’s well used in quadcopters, even PC cd-rom (dvd-rom) sensorless BLDC motor (spindle motor) works fine. Can we use any power mosfet of high current rating? Can you suggest any alternative Mosfet to mosfet 06N03LA..? Can you please share the power supply specifications used in the video, voltage and current readings.. In the interrupt routine you make a difference between odd and even steps. Why? Please help me, if i use 48v bldc motor, what resistor should i use for the virtual point and voltage divider? I run this simulation in proteus , but it gives error. Yes it can be done by changing commutation sequence in the code. Good job! But can you please explain what does ISR(ANALOG_COMP_vect) exactly doing? It’s the analog comparator interrupt service routine (ISR), the analog comparator is used to detect zero crossing events and at any event the analog comparator interrupts the microcontroller in order to update the commutation state. Thanks for the quick reply! I understand that this is an interrupt service routine and that is updating commutation state. I just do not understand why “i” is decremented by 1 in “for” loop when ACSR.ACO is “1” or “0” and why loop is counting to 10. I suppose that these “if” statements make decisions regarding the rising or falling period of BEMF, because ACSR.ACO is in these cases going from 1 to 0 (rising period of bemf) and from 0 to 1 (falling period of bemf), but can not figure out why “i” is decremented by 1 and why is counting to 10.
did you reach the rated rpm of the motor? if not how many rpm you got? Why did we set pin PB3 when we clear it ? I am trying to convert this code to run on my hardware, the gate drivers have separate input for High and Low side FETs, I think I shall be able to do that with inverted output PWMs, any comments here ? See the post below, it’s a little bit different, I used IR2101 instead of IR2104 gate driver. The IR2101 has separated gate control inputs for high side and low side mosfets. sir can i replace push button with a potentiometer?what will be the change in code?? You can try it by your self but doing that may cause some problems to the analog comparator because it’s used for zero crossing detection and the analog comparator share the same multiplexer with the analog-to-digital converter (ADC). As you say, when stationary, there’s no BEMF signal at all, and since there’s no (defined) hysteresis on the comparator it’ll just be triggering on noise. The traditional means of detecting operation is a stall counter – increment a variable every millisecond or so using a timer interrupt, and resetting every time a correctly sequential commutation is detected i.e. rotation rather than oscillation. If there’s no correct sequence in say half a second then disable – or start a restart routine. It’s works perfect, i try it in my project and need to make some changes( revers, startup by button, current restart(when its high, and higher speed by make the pwm is higher) and therer some problems…..
DEAR SIR, CAN YOU PLEASE HELP ME TO MAKE THIS CODE TO BE USED WITH A POTENTIOMETER. Good job! But if i use a power supply higher than 12v, what resistor should i use for the virtual point and voltage divider? If i dont make any change, can i damage my microcontroller? Dear Sir, I really need you to to comunicate with me any comfortable way!!! Please reply me. congratulations for your project, I have seen this same circuit all the same in another project, the only difference is the output uses the N-type mosfet IRF840 and fed with 400 volts, the voltage divider of the BFEM the resistances are of the same value as samples in the circuit, nomas that changes to 5 watts, my question is if there is higher bfem with 400 volts the divider has the same resistance values but at 5 watts, but the working voltage is 400 volts there is no risk of damaging the arduino . Increasing the voltage without changing voltage divider resistors may damage the Arduino. Project the circuit diagram is for 12V BLDC motor (just use voltage divider equation). The mosfets 06N03LA also doesn’t work with 400V, you may find that in its datasheet. What can I use instead of 06N03LA mosfet. I couldnt find it and i dont know how to find the equivalent of it. the motor area and it is felt that there is the potential for a back-EMF voltage spike to be fed back along that copper track and damage the IR2104 chip or even the Arduino board itself. It is suggested that the introduction of a fast Schottky diode in those links would block that possibility. i am using this ESC circuit to run a compressor, its working fine but the flow rate is not up to the mark so i want to increase the speed of the compressor, to do so should i try a higher voltage supply or can the speed increased by the code itself? if so then please help me with the code to increase the speed of the compressor. The is no thing to with the code to increase the maximum speed of your motor, the code give the maximum speed when the PWM duty cycle = 255. Increasing the voltage may increase the speed (you should use your motor nominal voltage), but be careful, with this circuit diagram you shouldn’t exceed 20V, unless you change the back emf resistors. The duty cycle of the PWM signal may be vary from 0 to 100%, so the motor reaches its maximum speed when the duty cycle = 100% which is represented in the code by 255. The maximum speed depends on type of motor (max speed, voltage …). The P55NF06 should work without any problem. can you please explain the logic behind the above code. I simluate the schematic in proteus using the above mentioned components. At the same time I don’t get any outpput.BLDC motor refuse to rotate. Is there any problem of using differnet MOSFETs and ICs ?PLease help me to get my output.This is my final year project. 1) Although it may work, but the IRF3205 is not a good choice for this application (slow). 2) You can’t use the IR2102 directly without doing some modifications to the application code (if you want to use it you’ve to make some modifications to the code, read the datasheet of the two devices!). I don’t know if you can simulate this application using Proteus, it’s better to do it in real hardware circuit. The problem is the motor doesn’t start automaticaly. I switched on the power supply and rotate manually by fingers with full speed settings using speed up pish button.After only my motor rotates. There is no prblem with the speed control.But how can I start the motor automatically.What is the problem behind this? please help me to find a solution for this. Please help me to complete my project….. Does anyone know where I can buy this circuit board complete ready to use. I have ir2103. What do I have to change? Yes you can use it but you’ve to do some modifications to the code. This is a part of my academic project……please help. Question, and request I Got a Samsung 3 phase 36 pol BLCD motor. Would like to set the speed to 3000RPM. And display it on 4 digit display( working onit), by counting the Zero crossing. Can U please help me by the Zero Counting with i can work and later display? Rest the entire circuit is same as yours. But the issue is, the motor runs only once and then, starts vibrating. Even when we press the switches, the sound of vibration is changing but motor doesn’t move. Any comments, what may be wrong? Its not enough. A shkotty diod need to beplaced in the Back FM way, otherwise it eill damage the Half wave drive, and the Arduido to. .. I working on another circuit feed with Sinus wave form generated by Arduino. The earlier mentiond code dos not hold the Mofet oppen, insted its gives out small peek’s.. +. 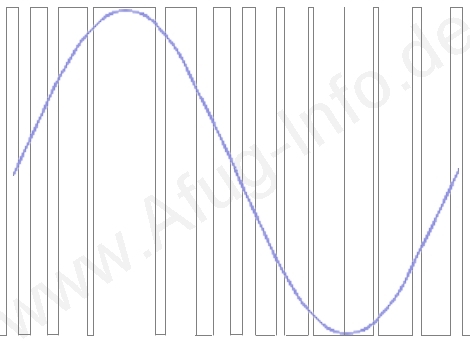 The waweformis decrease as the Half wave is operats,and changing electric phase. Its tray’s to rotat in the wrong direction. Because of the Fix linear wave generation Its just workingin one direction. There sould be a code, if no BEMF detekted in a among of time, contoler should stop eweryting, and restart “Start up” process. I readed the projekt. Ther are some fault in tha circuit. They have “repaired it”, because of the ~380v BEMF and This is the reason why the Capacitor is blowed up as in one of the post mentioned earlier. Still the Wave form is not efficient/sufficient for a High Voltage Unit. This code can’t hold the the Mosfet open. Insted its makes a PMW( many small peek’s) output.. witch is not efficient for this type of motor, es it is a induction motor.. elekto magnetik fiel is indicated.. and the magnet on the rotor is respondin of the EMF( pull push) . why pwm duty max 255?